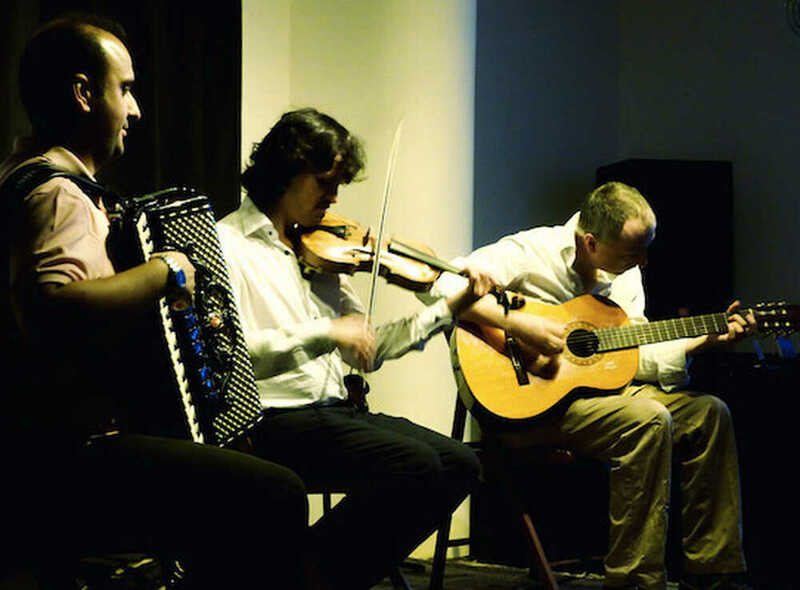 With the precious help of the great Greek soloist of accordion Dimos Vougioukas, Tcha Limberger explores the wonders of Greek music present in Istanbul (Konstantinoupolis) and Smyrne (Asia Minor) at the beginning of the 20th century before Rebetiko. The intriguing rhythms Zeybek, Karsilama, Hasapiko and Kalamatiano with the full use of quarter tones similar to Turkish Makam, make Tcha’s attraction to this music almost indescribable. Dimos Vougioukas has cooperated with well known soloists from Greece and Balkans such as Stavros Kouskouridas, Kyriakos Gouventas (Greece), Petar Ralchev (Bulgaria), Ionica Minune (Romania). He participates in the Greek orchestra “Estoudiantina” as a soloist, he redacts the orchestration-arrangements and he constitutes one of the founding members. 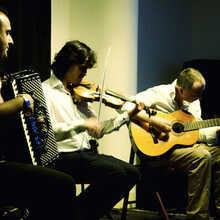 They are joined by Benjamin Clement on guitar, a Belgian musician who is very active in the background of great players such as Nedyalko Nedyalkov, Lakatos Roby, Kiriakos Gouventas and Marcel Ramba. He has the biggest and most precise knowledge of rhythm and harmony from almost any country in central and Eastern Europe.